Did you know that Barn Owls are considered an indicative species? When you go to an area that has a lot of Barn Owls it’s a sign that that environment is doing well. 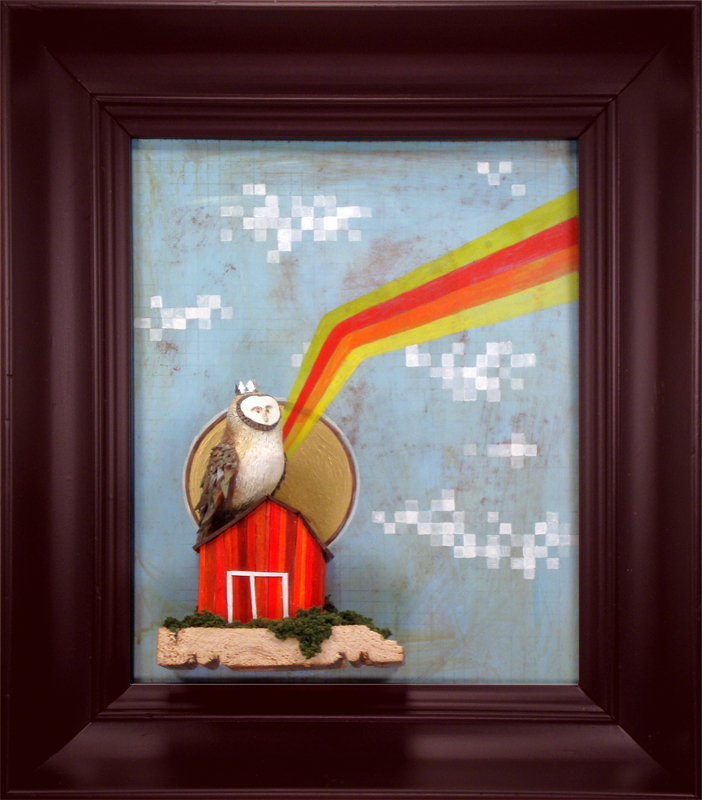 This was made with acrylic, clay, balsa, reclaimed wood, tin foil, spray paint and fiber.